Fun. Cheery. Delicious. 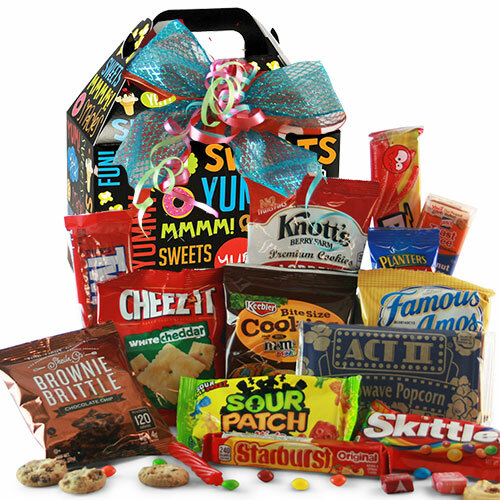 Those are just a few words to describe this delightful gift packed with all things sweet and sour. Perfect for absolutely any occasion! Let the good times roll! Note that candies may vary due to availability and season.